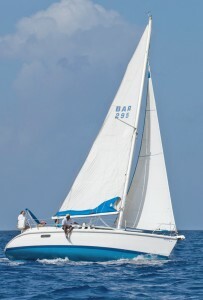 The second and penultimate day of the Coastal Series, traditionally known as the Two Restaurants Race, took place over a 22nm course and offered spectacular sheltered flat water/fast reaching conditions on the leg to and from the northern-most mark at Holetown just off The Beach House restaurant. On the southern part of the course to the Tapas Restaurant mark, the more lively conditions in the stunning, vibrant turquoise waters gave competitors a real taste of Caribbean sailing at its best. Racing was close once again particularly in Non CSA division where Mandy (Hunter 29.5) sailed by Bruce Robinson and team managed to hold off their closest rivals on Bill Tempro’s Hunter 36 Sail La Vie. Tempro and team looked good off the start line and sailed well but there was little they could do to match the impressive speed of Team Mandy and had to settle for second place once again. With two wins Robinson and team have clinched the series, which means the race for second place overall will be decided in the concluding Coastal race tomorrow. Processional it may have seemed but the long west coast leg from Carlisle Bay to Holetown provided plenty of opportunity for tactical racing. In CSA Racing, Peter Lewis’ team on the J/105 Whistlerdemonstrated its skill by managing to hold its kite for the duration of the leg (there and back), despite a few debatable moments when the reach looked almost too tight. It paid off however, and this local team of hotshots maintained pace throughout and managed to keep the ever-threatening team on the TP52 Conviction in second place. The Barbados Offshore Sailing Syndicate (BOSS) that runs the TP52 Conviction project that promotes youth in sailing was flying today. David Staples on the helm together with Clint Brooks (crew boss) and the young team sailed impressively and finished the day in second place overall. 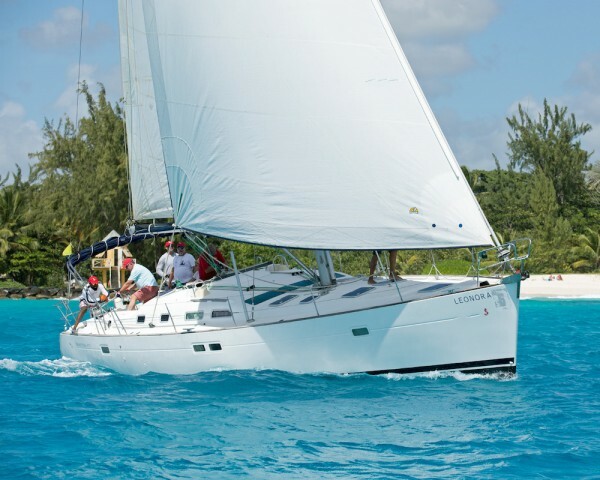 Barbados Sailing Week, Organised by Barbados Cruising Club in association with Barbados Tourism Marketing Inc, and Mount Gay, Barbados Sailing Week 2018, continues tomorrow with the final of the Coastal Racing Series and the first race of the J/24 two-day series. In the meantime crews are taking time to relax after a tough day on the water before preparing for what is arguably the most talked about/popular social event of the week – the ultimate Mount Gay Red Cap Party at the home of Mount Gay at the distillery in nearby Bridgetown.